By Monica Amarelo, Director of Communications and Samara Geller, Database & Research Analyst. Household cleaners, personal care products, perfumes, and other consumer and industrial products emit chemicals known as volatile organic compounds, or VOCs. Researchers led by scientists from the National Oceanic and Atmospheric Administration found that as cars have gotten cleaner, tailpipe emissions have gone down. As a result, the researchers estimate that emissions from consumer and industrial products now contribute half of the VOCs that cause air pollution. 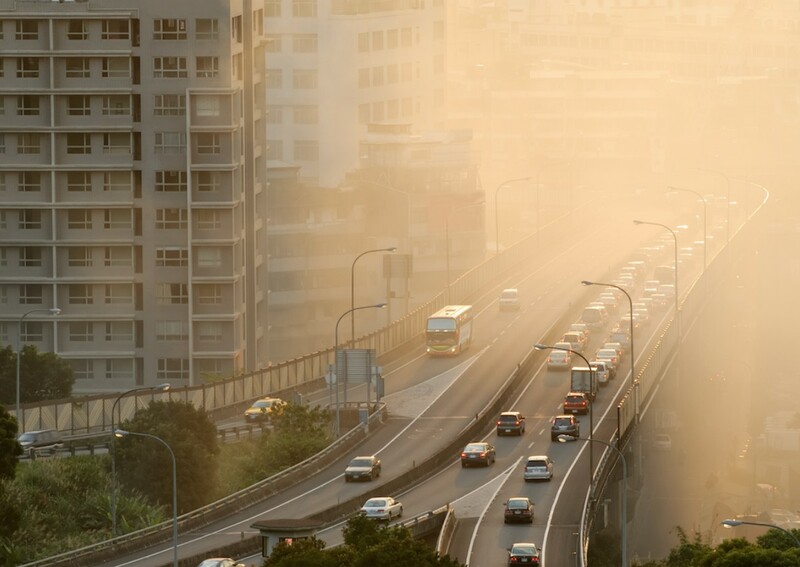 The study “shows that everyday consumer choices can have an impact on air quality,” Christopher Cappa, an engineering professor at the University of California at Davis and a co-author of the paper, said in a news release. The release also notes that for one type of pollution particularly harmful to health – tiny particles that lodge deep in the lungs – such products contribute twice the emissions as auto exhaust. VOCs include many different hazardous chemicals, including formaldehyde, toluene and acetone. They come from a wide array of products, including cleaners, air fresheners, pesticides, composite wood or particle board, glues, sealers, finishes, fiberglass, carpets and gas stoves. VOCs are also found in some of the products we use on our bodies every day, like hairspray, rubbing alcohol, nail polish, nail polish remover, colognes and perfumes. VOCs can irritate your eyes and nose, or trigger asthma attacks. Possible long-term effects include liver, kidney and central nervous system damage, and cancer. Because air pollution ranks fifth as a health risk factor worldwide, it is critical to identify, quantify and control the major sources of VOC emissions. But unlike auto emissions, regulation of VOCs in consumer products is lagging. The federal government has not updated the law that regulates the personal care industry since 1938. While the European Union has banned or restricted more than 1,300 ingredients in personal care products, the U.S. has only banned or restricted less than a dozen. You can learn more about VOCs in personal care products by searching EWG’s Skin Deep® cosmetics database. For information about VOCs in your home, look to our interactive Guide to Healthy Cleaning and the detailed sections of our Healthy Living: Home Guide. How can I minimize my exposure to VOCs? Use EWG’s guides to avoid products with VOCs. Some products, such as paint, are available with low or no VOCs. Look for Green Seal-11 certified paint, wood stains and finishes. If you must use products that contain VOCs be sure to properly ventilate the area. Open windows and the door if you can. Point a fan out the window to get VOCs cycling out of the room, or turn on an exhaust fan. Follow the instructions for safe use. If the packaging of a product tells you not to use it without proper ventilation, don’t. Buy products known to release VOCs in small quantities, keep them tightly closed and use them as quickly as possible.